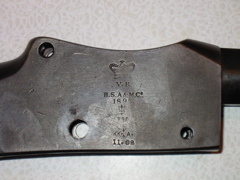 BSA made Mark IV action body. 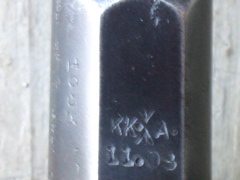 Note the November of 1908 Kirkee Arsenal stamps. 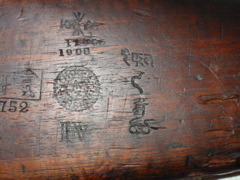 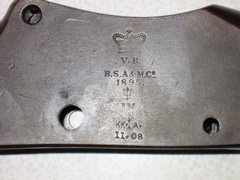 Underside of nocksform showing the year suffix for 1895. 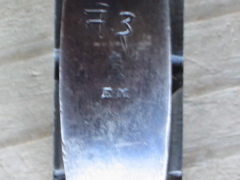 Kirkee Arsenal Buttstock Roundel with date, sold out of service markings, and chakra. 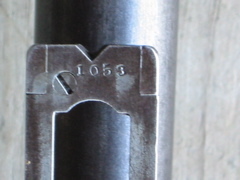 11752 is probably a rack number. 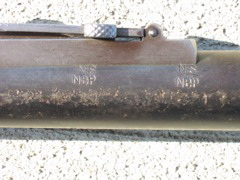 "Native Service. 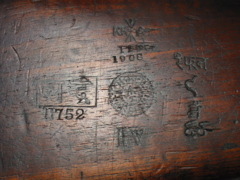 Nepal" Interesting that this appears twice...once with an armorer's cancellation mark. 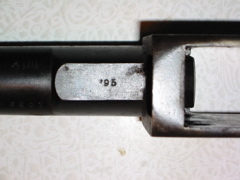 Trigger spring screw and a couple Enfield I.V.M.'s. 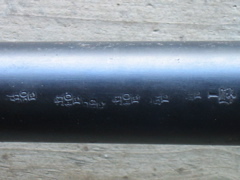 Some Sanskrit, another I.V.M., and an "Enfield-Martini" designation, heralding back to the trigger guard's usage on an E.M. .402 rifle. 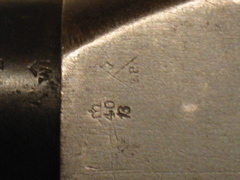 Odd set of markings forward of the nocksform. 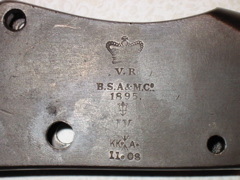 Rear sight leaf I.V.M. 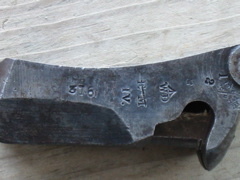 and War Dept Finished View Mark. 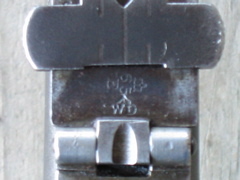 Serial number on the left. 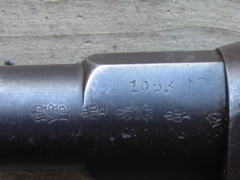 Kirkee Arsenal, date and sold out of service broad arrows. 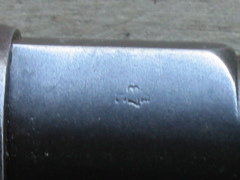 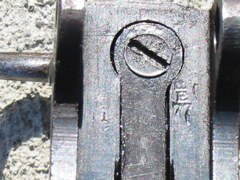 Smattering of standard markings one would expect to see on a Mark IV's breechblock, including the striken through "E-M". 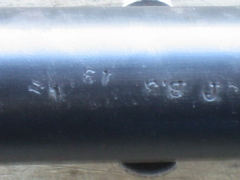 Smattering of standard markings one would expect to see on a Mark IV's breechblock. 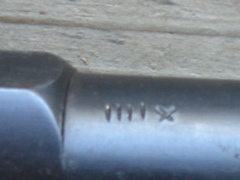 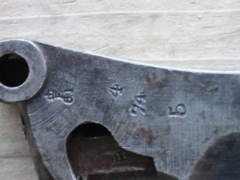 Note the "III" on the striker stop nut shaft.